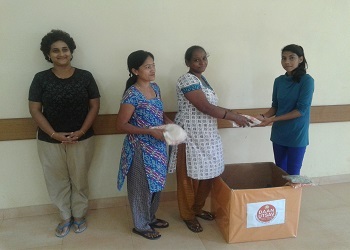 A donation of Rs. 10,000/- by a couple residing overseas and one more amount of Rs. 10,000/- donated by the Vaz family brought smiles to the little YMCA TCUPS (Tuition Classes for the Underprivileged Students) as their ‘wishes’ were fulfilled on 7th October. The little children expressed their thankfulness by way of song, dance, and a skit rehearsed and showcased by them on the day.